Obstacle Courses are by far the most loved rentals we have, and this one is no exception. 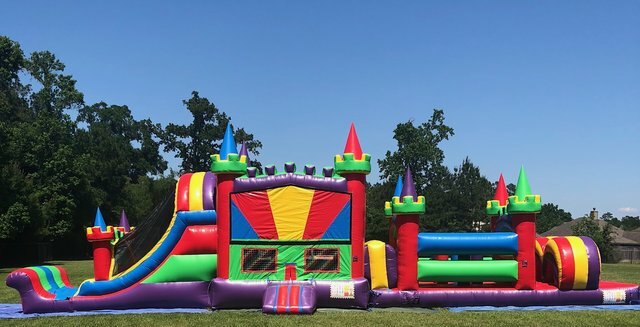 Our 50 ft obstacle course has a large jumping area with a basketball hoop inside and a obstacle course at one end and a slide on the other end of the combo! Great unit for all 12 year olds and under.